Visual storytelling is a powerful tool to increase understanding of social issues and to advocate for change. 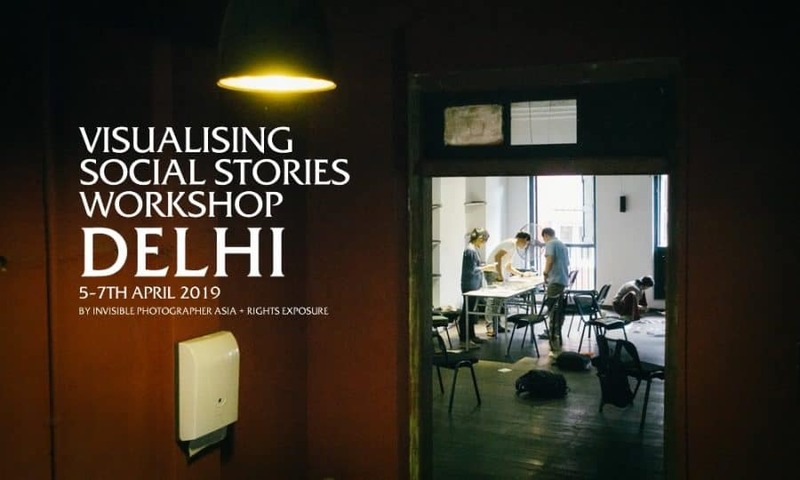 Whether you are working on humanitarian, environmental or human rights issues, this workshop will provide the tools you need to maximize the impact of visual media in your work. Registration deadline: Extended to 22nd March 2019. To book and reserve your spot, send an email to [email protected]. Visualising Social Stories (VSS) workshops are aimed at professionals working in the non-profit sector who use images in their work. Those with a focus on campaigns, communications and fundraising will find the workshop particularly useful. 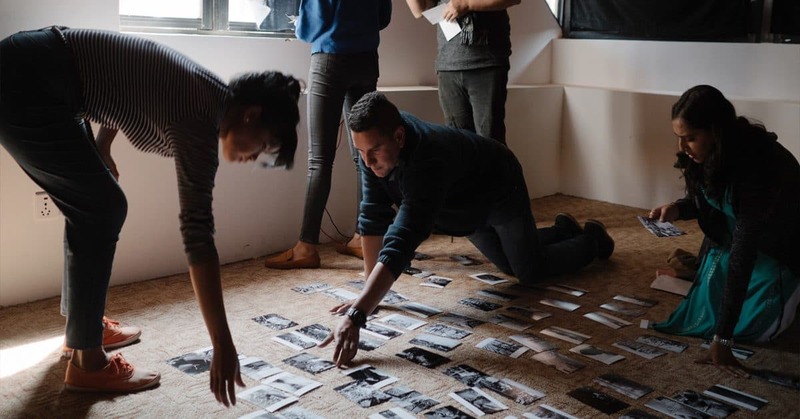 Over three days, our mentors will use theory, case studies and practical exercises to lead you through the fundamentals of building powerful visual projects for positive social change. Fee: US$220 (local organisation) US$290 (international organisation) – fee includes lunch and refreshments. Local organisations are defined as those that do not have a presence outside of India (e.g. state or national level NGOs). International organisations are those that have a presence outside of India (e.g. INGOs and UN agencies). Who has attended the workshops in the past? 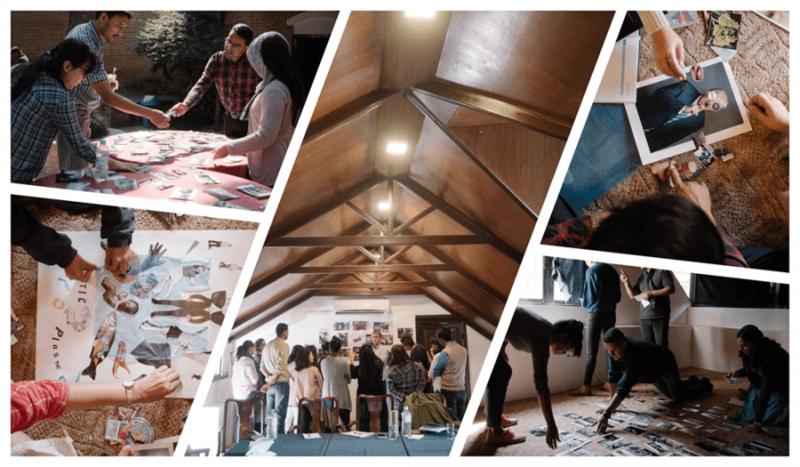 Pictures from our Visualising Social Stories Workshop at PhotoKathmandu Festival 2018, Nepal. Visualising Social Stories workshops are designed and produced by Invisible Photographer Asia and Rights Exposure. The workshop will be led and mentored by Robert Godden, Director of Campaigns & Communications at Rights Exposure, and facilitated by IPA founder Kevin WY Lee. Robert Godden is a human rights campaigns and communication professional. He specialises in advocacy strategy design, project management, and the use of visual media for positive social change. He co-founded Rights Exposure, an international human rights consultancy in 2014, where he is Director of Campaigns and Communications. Previously, he was with Amnesty International for 14 years, including as the Asia-Pacific Campaign Coordinator (2004-2014) based in Hong Kong, Kathmandu, and London. Robert is regularly invited to speak on the role of the image in social justice campaigns, including at The Chinese University of Hong Kong, The University of Hong Kong, Magnum Foundation, Photo Kathmandu, SCAD Hong Kong, and World Press Photo Awards Days. He also writes on the ethical use of images and recently co-organised The Ethical Image conference with the World Press Photo Foundation and the Journalism and Media Studies Centre at the University of Hong Kong. Robert holds an M.A. in South Asian Area Studies from SOAS, University of London, and is an alumnus of the New York University Tisch School of the Arts/Magnum Foundation Photography & Human Rights programme. To confirm booking participants must pay the full workshop fee by 22 March 2019. No refunds will be given to participants who cancel after payment. If the workshop is cancelled by the organisers a full refund will be given to all participants minus any transaction fees. By registering for an IPA Workshop, you accept our Terms & Conditions. Is the registration still open? Just came to know about the program and want to check with my organization if I can be a part? I am writing on behalf of Centre for Budget and Policy Studies, Bangalore. I wanted to know if the participation fee is for an organisation and if so how many participants can be sent? Is there any accommodation being provided for the participants? Participant fee is per person. An organization can send as many people as they like, but would have to pay the fee per participant. Accommodation is not provided as it is not a residential workshop. However, the center does have a dorm/room facility and can be contacted to see if a booking can be made on campus. In case of co-signups of 3 or more, a discount can be offered for each of the participants. We are two photogrpahers with our-own NGO and working on social change platform. We are looking forward to publish our online magzine to provide platform for photogrpaher who like to publish social issues as well social change along with exhibition, talk shows, photo book publication. We are interested to attend VSS Delhi workshop. Can we both accompany workshop ? What would be cost for both participants ? Fee per participant: US$220 (local organisation) US$290 (international organisation) – fee includes lunch and refreshments. Local organisations are defined as those that do not have a presence outside of India (e.g. state or national level NGOs). International organisations are those that have a presence outside of India (e.g. INGOs and UN agencies).